I’m sure you’ve noticed right now, but winter is coming, which for the UK means plenty of cold mornings, rain and, if we’re lucky, some snow. I feel like most people would love to just stay at home in a cosy room all day when it comes to winter, almost like hibernation, and one way you can find your area of peace and warmth is within your Log Cabin. But before we continue, this post will be about the interior decor of a Log Cabin- If you want a building that will suffice through the groggy weather than you will need to be prepared. 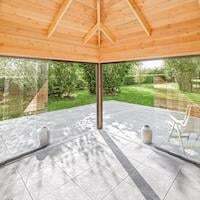 We recommend for all year around use at least a 40mm Log Cabin should be considered, although when thinking of logs it’s all about the heat capacity. So for a slightly more expensive cabin, such as our 58mm Log Cabins or 70mm Log Cabins, you would save money in the long run when it comes to heating and keeping the heat in the building. Insulating your Log Cabin will also aid greatly when it comes to keeping warm in the colder months. We also highly recommend that you learn about expansion in Log Cabins and how timber naturally acts within the damper months. 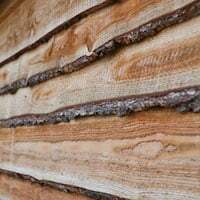 Although the process of expansion is normal for timber, there are a few ways that you can help prevent this, this especially includes treating your Log Cabin correctly, with the most suitable products for timber buildings. Now, let’s say that you have/are getting a Log Cabin, and are all ready for the winter months. What else could you do to build that warm and cosy sanctuary you envisioned? The rest of this blog should help inspire you on how to complete the interior of your Log Cabin. Many of our customers use a woodburner to provide heat into their Log Cabins, and it’s a great idea! So long as it’s installed correctly, so if you are thinking of installing one please use a qualified installer in the process. The important things to consider is the natural expansion and contraction of the log cabin and that the flue needs to accommodate this without restrictions. If the idea of wood burners within a wooden building concerns you – Why not try out an electric heater? A electrical convection heater is known to be enough to heat a Log Cabin, a great example is shown within our Emma Log Cabin. 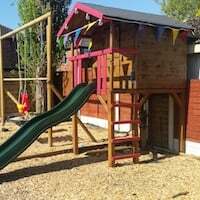 Another example is this Piet Log Cabin that has been turned into extra accomodation, it just oozes with comfort- Complete with a bathroom, small kitchen area and a double bed, all of which are kept warm with the use of an electrical convection heater. These two cabins also have another common feature – Fluffy blankets, they are truly a winter necessity. There is a large selection of cabins that have plenty of room for a double bed, maybe even a queen sized? One of them being the Henning Log Cabin, this example also features windowsill plants – A nice but subtle way to become more in touch with nature. The windows across the front and side of the cabin allows plenty of natural light to be let in, further building the homely atmosphere this cabin provides. 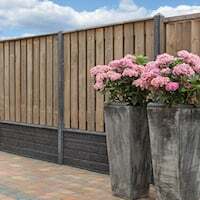 With the use of additional logs that match your Log Cabin, or the use of cladded panels, there’s not much to stop you taking our standard kits and customising them to your preference. 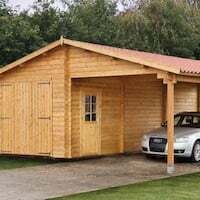 As shown with the Piet above and also with this 45mm Hendrick Log Cabin. Measuring at 5m x 5m, there’s plenty of ‘play room’ for you to add internal walls giving users of the cabin their own privacy when it’s needed, especially when it comes to the bathroom. You may not think that 5m x 5m is that big, but you will be surprised at this example of the Hendrick- Featuring a bedroom, bathroom and kitchen. Prefer sleeping higher than the usual bed? The Berlin Log Cabin features an upper level that’s just right to put a bed in and the bare necessities- I love the little window on this upper level, could you imagine being able to look at the sky so easily while you’re in bed? Did you know that we have a few buildings for these moments in mind? For example the Camping Barrel, to help you sleep in style or work in comfort. Featuring two separate rooms to help you keep what you need, in the area you need it in. Used as an office/study, these customers used contrasting colours to help brighten up the inside of their Blackpool cabin- With the blankets, cushions ready to be used for the winter. Another colourful example is this Yorick Log Cabin, with the feature length windows giving in plenty of natural light, the light is also used to make the cushions on this corner sofa stand out! Not to mention that the sofa does look perfect for a social evening. Monopoly with a cuppa, anyone? Corner sofas really are a great way to utilise space in your cabin, and sometimes (especially for smaller cabins) less is more. For example this Daisy Log Cabin, featuring just the necessities for a lovely evening. The colour scheme for this cabin is also a wise choice, the wider wall colour will help add more visual space. … Is it too early to mention Christmas? Hear me out though, a sofa, table and a bar?! That is some impressive space utilisation. Another beautifully made seating/study area is this Ukrik Log Cabin, that contradicts the earlier posts – Soft interior works too! It’s all about finding a colour scheme that suits your tastes, as well as finding enough chairs to get everyone in, since we’ve proven that space won’t be a problem for some of these cabins. And of course, what would be a post by myself if it didn’t include a Shepherds Hut or two? It’s one of the main reasons why I love these so much, even though they look plain and simple on the outside, there are so many ways in which you can transform a Shepherds Hut! The majority of these examples are from our Gypsy Caravan model. A Log Cabin can easily be turned into a cosy area with a few things. 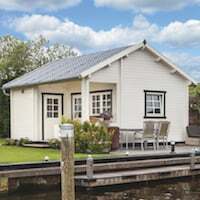 Of course, there is making sure you are prepared for when log cabin expansion naturally occurs, along with having the most suitable log thickness and insulation for the job. Once the fundamentals are down, then you can start playing with a colour scheme that reflects you and your personality, picking the heating source you’d prefer and of course, finding all of the fluffy blankets and cushions that you can. How are you preparing for the winter? We’d love to learn how in the comments below! Hello everyone! So, while I (Meg) was out of the office for a week, the office still continued to work non stop! I came back to christmas decorations everywhere and a new showsite install! 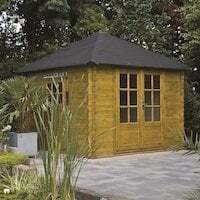 At first I was a bit disappointed the installation of the Daisy Log Cabin and 28mm Side Annex without me but one of our new/training sales assistants, Becky, told me she carried out some of the installation! 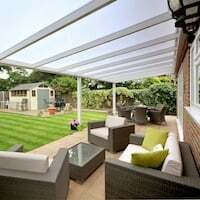 Its an excellent way to learn about our products and how they are installed and she was even so kind enough to do her own write up about it for you guys! 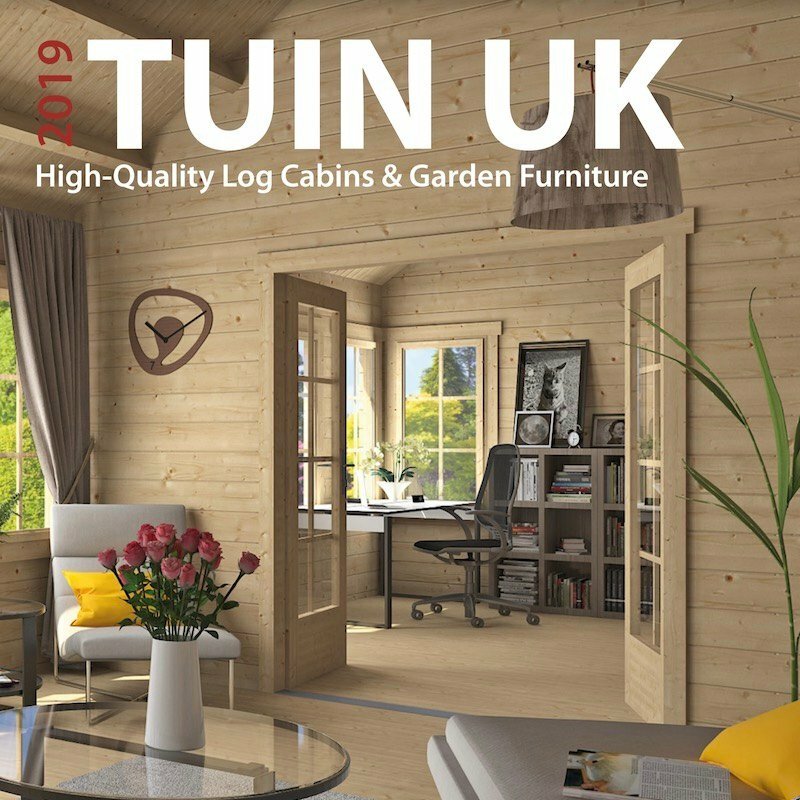 I’m new to the Tuin team and wanted to get hands on in the assembly of a log cabin to gain a better understanding of the process behind it, enabling myself to then be able to give personal and experienced advice to our customers as part of the Sales Team. I would just like to point out that when I started I had absolutely zero DIY knowledge, skills or experience. Furthermore assembling the cabin in the cold, rain and snow was also an experience, although it was a great opportunity to prove that bad weather never hinders the construction of a cabin, apart from my cold fingers! Additionally, I can confidently say that building a cabin is not as hard as I first believed. Once you know what you’re doing, everything just slots together and before you know it it’s up! On my third week of training I was given the opportunity to construct the roof on the Daisy and build the annexe on the side. I put up my step ladder inside the cabin alongside one of our more experienced members of the team and together we fitted the roof of the Daisy. It was all tongue and groove so the pieces of timber literally just slotted together and then we nailed it in. For starters I had never even held a hammer before this point let alone hammer roof nails in! Seems like the sun came out to give you the perfect selfie lighting- The roof behind you is looking great! The further along the roof we went the space to put up the ladder was running out, it was time to get on top of the roof! In between multiple cups of coffee purely to warm up my insides, the roof was on. It was a good opportunity to gain an understanding of the natural contraction and expansion of timber. But with a firm knock into place the roof looked pretty good if I do say myself. You look energised for your future tasks thanks to coffee! Then came the shingles, what I perceived to be the next challenge but they in fact were also very easy to do! We started from the bottom of the roof, with the first set upside down to ensure coverage of the roof, and from then on worked our way up to the ridge. Firstly I made a level base with just three pieces of tanalised timber, I secured the annexe base using screws and then screwed the base into the side foundation beam of the Daisy Log Cabin; ensuring my base was 100% flat, level and square I was all set to go. The starter half logs are simply put normal logs just cut in half so that they have a flat bottom, making it easy to sit on top of the foundation beams. You don’t have to, but I screwed these onto the foundation beams just for extra stability. From here on the rest of the logs just slotted on top of each other, about five logs up I stopped and lowered the door into place. I was clear to see that it was a good thing I didn’t go any higher as I wouldn’t have been able to lift the door up high enough to slide it into place. From here I continued to knock the rest of the logs on top of each other. Then it came to the roof, which was pretty much exactly the same as the Daisy Log Cabin but thankfully not as high. 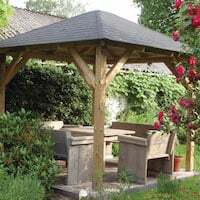 I started from the front of the annexe and worked my way towards the back, The roof boards were also tongue and groove making it nice and easy for them to all slot together. I was nailing these in as I went two at the top, middle and bottom onto the purlins. It’s not quite finished yet, just the shingles to go, but overall it was an enjoyable first experience of building a Log Cabin and Annexe. By continuously referring back to the plans and taking my time to make sure it was all accurately in place, I was very successful. 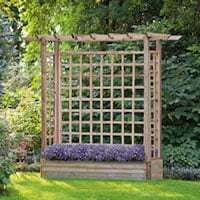 It really emphasised to me how important it is not to look at all of the bits of timber and panic, because by following all of the steps, checking the plans regularly and taking it bit by bit it’s actually very easy to do. My new nickname is now ‘Becky the Builder’. Some superb work Becky! An excellent addition to the show site, and thank you for telling us how it all went, I’m glad you’re looking forward to your next installation! 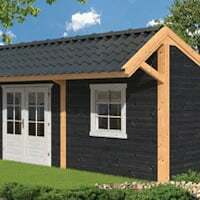 You can start your next DIY adventure with the Daisy Log Cabin and the 28mm Side Annex available on our site. 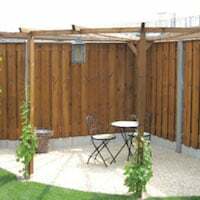 To read more about our showsite installations, there are also ones on the Kennet Log Cabin and the Lennart Log Cabin installation blogs!